The word legend is one of the overused in music. It should be reserved for the creme de la creme of music. That would definitely include Jimi Hendrix, who achieved more in twenty-seven short years than many musical journey achieve in seventy years. Jimi Hendrix was an otherworldly musician. It was as if he’d descended down from another world, and was during his short time on planet music, was determined to reinvent how to play the guitar. For the next few years, the world was awestruck as this musical visionary took the guitar to another level. Jimi Hendrix took music by storm, and vied for the title of rock’s greatest guitarist. Throughout his career, Jimi was a flamboyant showman, who growing up, modelled himself on T-Bone Walker. It was T-Bone who Jimi saw playing his guitar with his teeth. When Jimi saw this, he took it as a challenge. This became part of Jimi’s routine. In years to come, Jimi played his guitar as if his life depended upon it. Jimi, on form, was like a man possessed. Some nights, Jimi played his guitar behind his back, played it with his teeth and as if trying to exercise some inner demons, set his guitar on fire. All this made Jimi one of the most exiting guitarists ever. However, Jimi was also a technically brilliant guitarists of his generation. Sadly, Jimi Hendrix’s career was cut tragically short. At around 11a.m. on the 18th September 1970, that Jimi Hendrix was found unresponsive at an apartment in the Samarkand Hotel, in Notting Hill, London. He was rushed to the St. Mary’s Abbot’s Hospital, but pronounced dead at 12.45p.m. Jimi Hendrix was just twenty-seven. However, music had lost one of the most influential and innovative guitarists of his generation. It was tragic. Music was in mourning. Especially since Jimi Hendrix had only released a trio of studio album and one live album. One can only speculate what he would’ve achieved had he lived longer? However, by dying aged twenty-seven his genius was never tarnished. Unlike his contemporaries, Jimi Hendrix never grew old and bloated. Nor did he become predictable and boring. No. Jimi Hendrix will forever be twenty-seven. The images of him playing his guitar with teeth or setting it on fire will live forever. Both show the youthful and otherworldly virtuoso at the peak of his powers, as he changed music forevermore. So does a recently released box set The Jimi Hendrix Experience. It was no ordinary album. When Are You Experienced? was released on May 12th 1967, it was to widespread critical and commercial success. Are You Experienced? introduced the world to Jimi Hendrix, a musical maverick, and legend in the making. 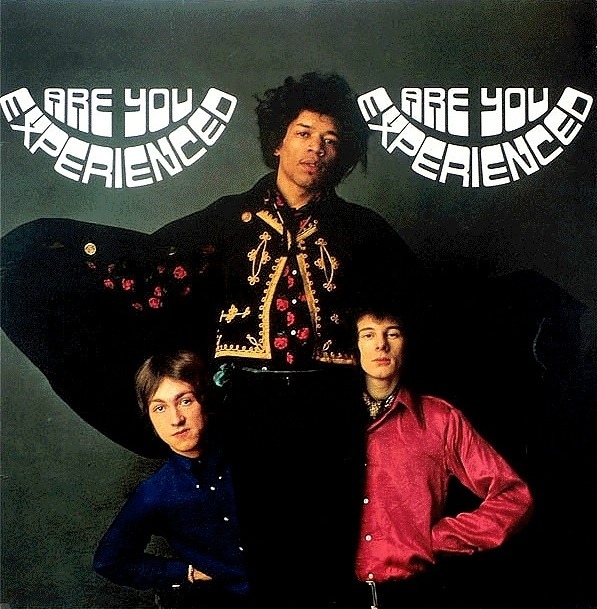 That was apparent from The Jimi Hendrix’s 1967 explosive debut album Are You Experienced. It featured the debut of the legendary power trio of drummer Mitch Mitchell, bassist Noel Redding and guitarist Jimi Hendrix. They fused rock and psychedelia on eleven tracks penned by Jimi Hendrix. The eleven tracks that became Are You Experienced, were recorded between October and April 1966. Three London studios were used, De Lane Lea Studios, CBS, and Olympic Studios. That’s where The Jimi Hendrix Experience recorded their debut album Are You Experienced, which was produced by Chas Chandler. Once it was completed, it was released in Britain in May 1967. Just like their previous two albums, their third album Electric Ladyland became a classic. Electric Ladyland was the album that The Jimi Hendrix Experience were always capable of making. It was a coming of age for The Jimi Hendrix Experience. They’d released the finest album of their three album career. Sadly, there was a twist in the tale. Electric Ladyland would be The Jimi Hendrix Experience’s final album. However, it was a fitting swan-song from a legendary power trio. Eight months after the release of Electric Ladyland, The Jimi Hendrix Experience played their last concert on June 29th 1969. This took place at Barry Fey’s Denver Pop Festival. This was a three day event. Little did anyone know The Jimi Hendrix Experience would only play one further concert. They reunited in 1970, to allow Jimi to spread his message of universal love. However, before that, Jimi’s new trio, Band Of Gypsys, recorded their only album. After The Jimi Hendrix Experience split-up, Jimi formed another trio, the Band Of Gypsys. The lineup featured drummer Buddy Miles, bassist Billy Cox and Jimi on guitar. 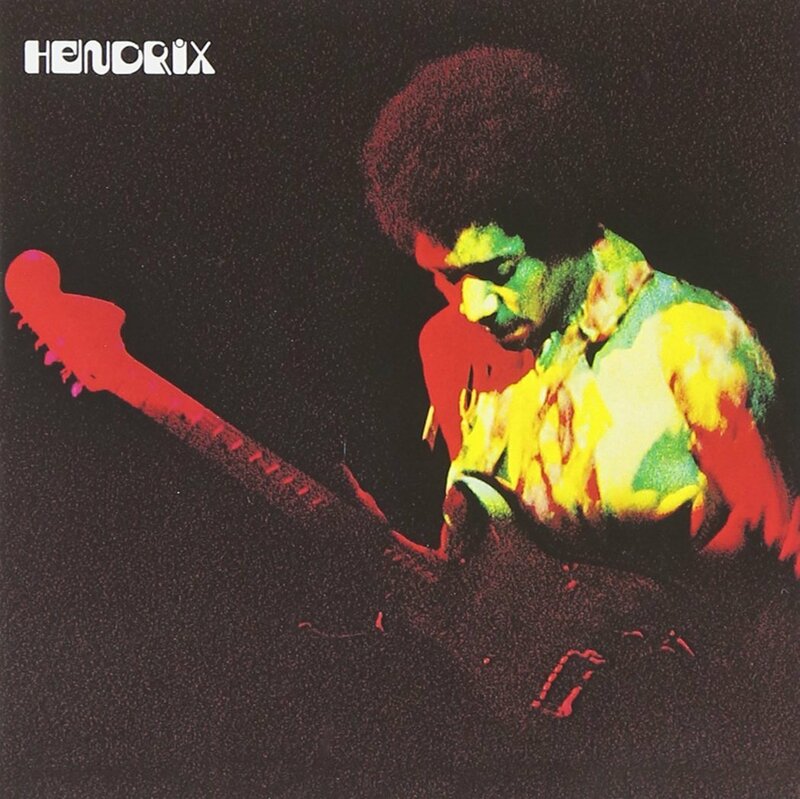 The Band of Gypsys recorded their only live album on 1st January 1970. When the Band Of Gypsys took to the stage at Filmore East, in New York, on 1st January 1970, they had been busy. They’d written six new songs. Jimi penned four tracks, including Who Knows and the funky, anti Vietnam War song Machine Gun. These two tracks comprise side one of Band Of Gypsys. He also wrote Power To Love and Message Of Love. Jazz drummer Buddy Miles, wrote Changes and We Gotta Live Together. These six tracks found the Band Of Gypsys moving in a different direction from The Jimi Hendrix Experience. Elements of funk, R&B and soul shine through on Band Of Gypsys. This isn’t surprising, given Jimi’s bandmates’ past. However, Jimi’s trademark fusion rock and psychedelia is still present. What’s obvious, is that Jimi was keen to explore different musical directions. He wasn’t going to be tied to the one musical genre. Instead, he was willing to experiment musically. Band Of Gypsys was just the start. When critics heard Band Of Gypsys, they were won over by the genre melting album. They realised that Band Of Gypsys was an ambitious album. Machine Gun, they felt, was the best track on Band Of Gypsys. It was the album’s centrepiece, and showed what Jimi Hendrix, musical maverick was capable of, even without The Jimi Hendrix Experience. Just like The Jimi Hendrix Experience, the Band Of Gypsys was the perfect vehicle for Jimi. Band Of Gypsys was released in Britain on 25th March 1970. It reached number six. Nearly three months later, on June 12th 1970, Band Of Gypsys was released in America, reaching number five in the US Billboard 200. This resulted in Band Of Gypsys being certified double platinum. Jimi Hendrix it seemed could do no wrong. Everyone waited with baited breath to see what direction his career headed. After the release of Band Of Gypsys, Jimi returned the studio, where he began work on his next album. Jimi was a prolific artist, and recorded many tracks over a relatively short space of time. So much so, that by the time he headed to the second Atlanta Pop Festival, which was held on the 4th of July 1970, there were many tracks in various states of completion. This was more than enough for several album’s worth of material. Some of the new songs newly reformed lineup of The Jimi Hendrix Experience planned to showcase at the Atlanta Pop Festival. Lesser musicians than Jimi Hendrix would’ve been nervous about playing at the heart of the Deep South. Not Jimi. He relished the challenge of uniting a region divided. He planned to do so with the newly reformed lineup of The Jimi Hendrix Experience. Sadly, bassist Noel Redding wasn’t going to take to the stage. Taking his place would be Band Of Gypsys bassist Billy Cox. At least Noel Redding The Jimi Hendrix Experience’s original drummer was by Jimi’s side as they took to the stage. What had been a legendary power trio were about to try to unite a region divided. 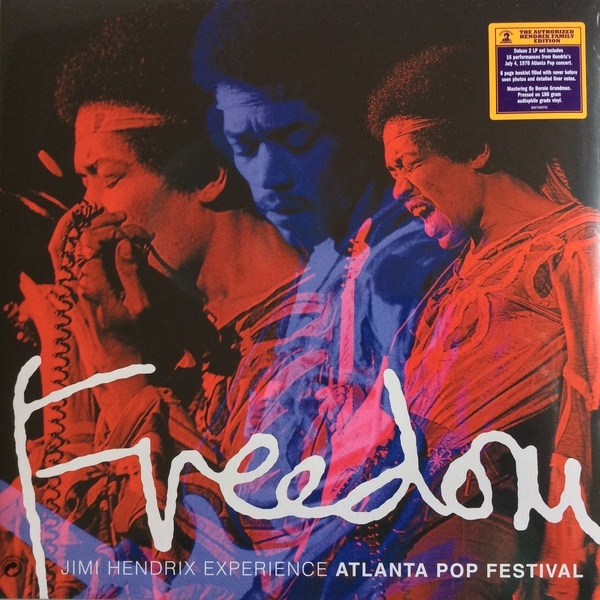 When The Jimi Hendrix Experience took to the stage at the Atlanta International Pop Festival, they were greeted by a crowd estimated to be between 300,000-400,000. The Jimi Hendrix Experience launched into what was a blistering set. A Jimi took to the stage, he’s greeted by an audience that’s united. As he tunes his guitar, he introduces the band. Only then does he launch into a blistering version of Fire, before moving on to Lover Man and Spanish Castle Magic. Red House sees a stylistic change, as Jimi pays homage to his bluesy roots. Not only does he unleash a spellbinding solo, but a testifying vocal. From there, Jimi showcased three new songs. The first of was Room Full of Mirrors, which The Jimi Hendrix Experience followup with Room Full Of Mirrors and Hear My Train A-Comin.’ It’s poignant listening to this trio of tracks, knowing that Jimi would be dead by the time these songs were released. After a trio of new songs, The Jimi Hendrix Experience kicks loose on Message to Love. Fittingly, Jimi’s guitar plays a starring role, while as the rhythm section of bassist Billy Cox and drummer Mitch Mitchell seem content to play a supporting role. However, soon the three members of The Jimi Hendrix Experience revived a standing ovation. No wonder. They launch into a classic, All Along the Watchtower. The Jimi Hendrix Experience are given an enthusiastic response as they launch into a classic track. It’s the first of several classics. Before that, Freedom, The Jimi Hendrix Experience showcase another new songs Freedom. This is fitting. Jimi had gone into a region divided, and was preaching a message of universal love and now Freedom. Given the South’s history, it’s a poignant song. The way Jimi delivers the lyrics, it’s as if he’s making a point. Having done so, it’s nearly classics all the way. A wash of feedback signals the introduction to Foxy Lady. It’s as if Jimi’s gotten something of his chest on Freedom, and unleashes a series of virtuoso performances. He launches into a blistering version Purple Haze then Hey Joe and Voodoo Child (Slight Return). The classics keep on coming, as Jimi teases the listener with a reworking of Stone Free. By then, he’s worked the audience into a frenzy. Sadly, his set is almost at an end. Not quite. Jimi unleashes a version of the Star Spangled Banner on his guitar. Not everyone seems receptive to this. In the heart of Dixie, some see this as sacrilegious. There’s the odd jeer and whistle, before Jimi wins over the audience. All around him, fireworks explode. After that, Straight Ahead closes the show and the newly reformed Jimi Hendrix Experience take their leave. On 18th September 1970, music was in mourning. Jimi Hendrix, it was announced, was dead. Jimi Hendrix had been found around 11a.m. on the 18th September 1970, that Jimi Hendrix was found unresponsive at an apartment in the Samarkand Hotel, in Notting Hill, London. He was rushed to the St. Mary’s Abbot’s Hospital, but pronounced dead at 12.45p.m. Jimi Hendrix was just twenty-seven. However, music had lost one of the most influential and innovative guitarists of his generation. That’s despite Jimi’s career beginning just four years earlier. However, little did anyone realise, that Jimi Hendrix had been a truly prolific. After his death, it was discovered that there was still a lot of unreleased material. This included songs recorded in the studio, plus numerous live recordings. They’ve been gradually released over the last forty-five years. This included The Jimi Hendrix Experience box set, which was recently rereleased by Sony Music. There’s sixty tracks on the four discs in the The Jimi Hendrix Experience box set. They’re a mixture of studio and live recordings. Mostly, the discs are arranged chronologically, which I like. It allows the listener to hear how The Jimi Hendrix grow, mature and evolve musically. That’s apparent through the four discs. Fittingly, a classic track opens disc one of The Jimi Hendrix Experience. It’s a version of Purple Haze, which was recorded at the DeLane Lea Studios, London, UK, January 11th 1967. This was just three months after The Jimi Hendrix Experience came to the attention of many people. That was on October 18th 1966, at the Olympia Theater, Paris. That night, The Jimi Hendrix Experience showcases Killing Floor and Hey Joe. Around this time, The Jimi Hendrix Experience were in Pye Studios, London during 1966. This was the first of many times they would be ensconced in a recording studio. Just under two months later, on December 13th 1966, The Jimi Hendrix Experience were in CBS Studios, London. This was one three London studios were used that The Jimi Hendrix Experience recorded the debut album Are You Experienced at. Other sessions took place at De Lane Lea Studios, CBS, and Olympic Studios between October 1966 and April 1967. 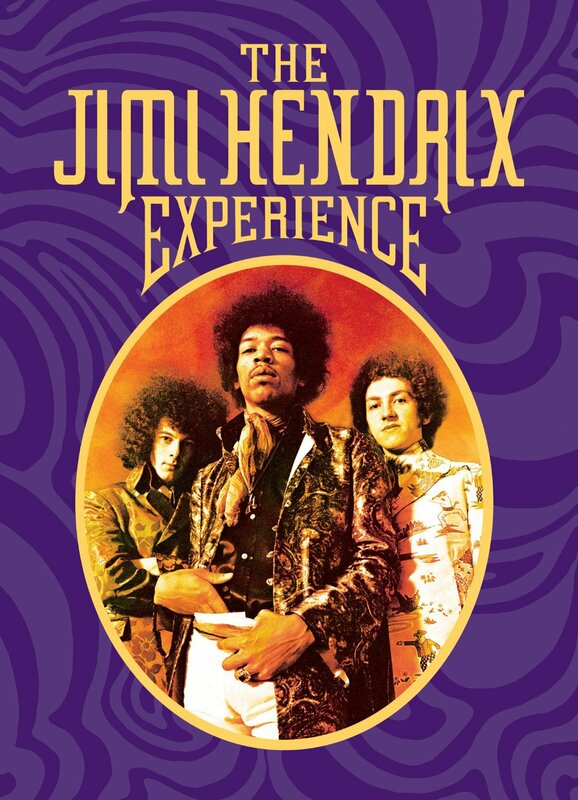 Four tracks from these sessions feature on disc one of The Jimi Hendrix Experience. This includes versions of Foxy Lady and Highway Chile. They were recorded at Olympic Studios on 13th December 1966 and April 3rd 1967, the same day Title #3 was recorded. Then on the 4th of April, Jimi Hendrix Noel Redding and Mitch Mitchell recorded Here He Comes (Lover Man) (Olympic Studio. Olympic Studios would become a favourite of The Jimi Hendrix Experience. The sessions in other studios proved fruitful. 3rd Stone From The Sun, which was recorded at DeLane Lea Studios, on January 11th 1967. Just like Foxy Lady, a version of 3rd Stone From The Sun would find its way onto Are You Experienced when it was released in May 1967. By the The The Jimi Hendrix Experience Hendrix Experience were back in the studio recording their sophomore album. Axis: Bold As Love. The Jimi Hendrix Experience recorded If 6 Was 9 (Olympic Studios, on the 4th May 1967. Then five days later, on May 9th 1967, they recorded a version of Burning Of The Midnight Lamp at Olympic Studios. Only a version of If 6 Was 9 made it onto Axis: Bold As Love, when it was released on 1st December 1967. That was a long time away. By then, The Jimi Hendrix Experience had played at the Monterey International Pop Festival, Los Angeles, on June 18th 1967. They played Rock Me Baby and a cover of Bob Dylan’s Like A Rolling Stone. They’re a welcome addition to disc one of The Jimi Hendrix Experience box set. So is the version of The Stars That Play With Laughing Sam’s Dice that was recorded at Mayfair Studios, New York, July 19th and 20th 1967. It’s a fitting finale to disc one. 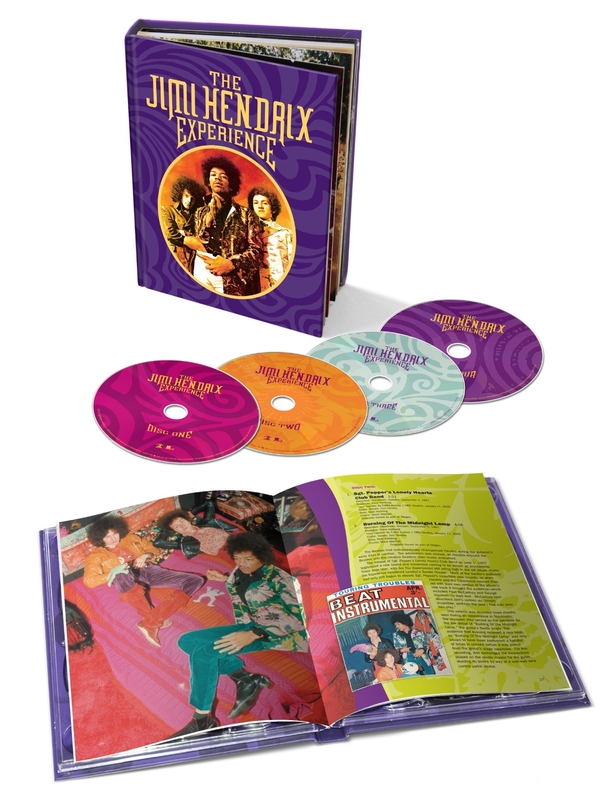 Just like disc one, disc two of The Jimi Hendrix Experience box set is a mixture of live tracks and studio recordings. A live cover version of Sgt. Pepper’s Lonely Hearts Club Band opens disc one. Along with a version of Burning Of The Midnight Lamp was recorded live in Stockholm, Sweden, on September 5th 1967. The Jimi Hendrix Experience are at their inventive best, as they prepare to return to Olympic Studios, London. On 1st October 1967, The Jimi Hendrix Experience recorded Little Miss Lover at Olympic Studios. A version of Bold As Love was recorded on the 5th October. Then on 25th of October, a The Jimi Hendrix Experience cut a take of Little Wing. By then, they had taken Paris by storm. At the Olympia Theater, Paris, France, The Jimi Hendrix Experience won friends and influenced people on October 19th 1967. Two songs they played that night, were Catfish Blues and The Wind Cries Mary. It would become a favourite when The Jimi Hendrix Experience played live. After their triumphant concert in Paris, The Jimi Hendrix had to get Axis: Bold As Love completed. The release date was scheduled for 1st December 1967. Before that, The Jimi Hendrix Experience returned to Olympic Studios, London were they recorded the version of Sweet Angel that’s on The Jimi Hendrix Experience box set on 13th November. 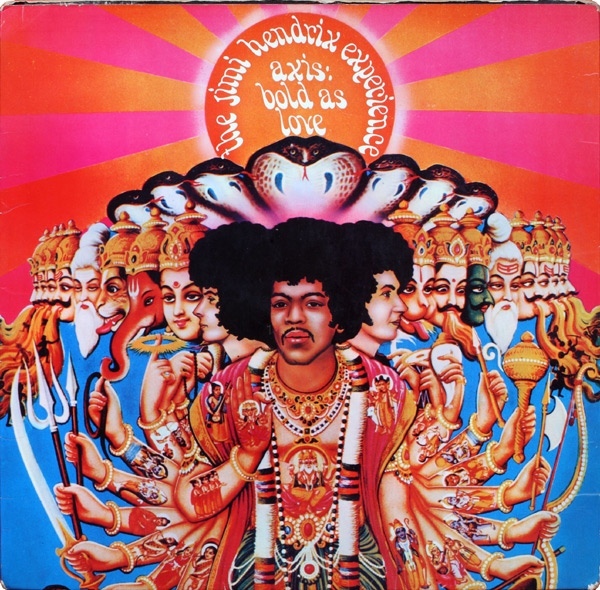 Three weeks later, The Jimi Hendrix Experience released their sophomore album Axis: Bold As Love. Following the commercial success and critical acclaim of Axis: Bold As Love, The Jimi Hendrix were one of the biggest bands in the world. So in 1968, The Jimi Hendrix Experience divided their time between Britain and America. Based in America, The Jimi Hendrix Experience played at Clark University, in Worcester on March 15th 1968. On the setlist was an incendiary version of Fire. Later that month, The Jimi Hendrix Experience took to the stage at the Sound Center, New York. That night, Somewhere was on their setlist. It shows that The Jimi Hendrix Experience were now one of the top power trios on planet music. Their main rivals were Cream. However, with The Jimi Hendrix Experience about to enter the studio again, maybe they would become the world’s best power trio? Jimi Hendrix bassist Noel Redding and drummer Mitch Mitchell set up their equipment, and on April, 22nd 1968, recorded a version of Gypsy Eyes. A take of (Have You Ever Been To) Electric Ladyland was recorded on June 14th 1968). Then on August 12th 1968, Room Full Of Mirrors was laid down. That’s the last of the songs from the 1968 Record Plant sessions on disc three. Next stop for The Jimi Hendrix Experience was L.A.
By then, The Jimi Hendrix Experience had released their third and final album, Electric Ladyland. It was released on October 16th 1968. Just like their two previous albums, Electric Ladyland was released to commercial success and critical acclaim. This didn’t stop The Jimi Hendrix Experience returning to the studio. This time, they made their way to TTG Studios, in Hollywood, L.A. On 24th October 1968, Peace in Mississippi was recorded. Then on 29th October 1968, a version of Gloria was recorded. These two tracks are the only two on The Jimi Hendrix Experience box set from the 1968 TTG Studios’ sessions. However, in February 1969, The Jimi Hendrix Experience were back in a familiar setting, The Record Plant New York. The Record Plant was fast becoming The Jimi Hendrix Experience’s favourite studio. That’s where It’s Too Bad was recorded on February 11th 1969. They would return in 1969. By then, The Jimi Hendrix Experience had recorded their take on the Star Spangled Banner. It closes disc two of The Jimi Hendrix Experience box set. 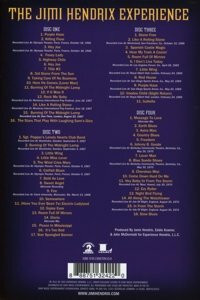 There’s just eleven tracks on disc three of The Jimi Hendrix Experience box set. The opening track is a version of Stone Free, which was recorded at the Record Plant, on April, 7th 1969. However, that wasn’t The Jimi Hendrix Experience’s first time in a studio during 1969. On February 17th 1969, The Jimi Hendrix Experience had recorded versions of Spanish Castle Magic and Hear My Train A Comin’ at Olympic Studios, London. Then two months later, The Jimi Hendrix Experience returned to the Record Plant in New York. On April 21st 1969, The Jimi Hendrix Experience recorded Room Full Of Mirrors at the Record Plant in New York. After that, they continued their hectic live schedule. 26th April 1969 found The Jimi Hendrix Experience at Los Angeles Forum, where the ironically titled I Don’t Live Today was on the setlist. Then on May 25th 1969, The Jimi Hendrix Experience took to the stage at the San Diego Sports Arena. Two of the songs on the setlist were Red House and Purple Haze. The Jimi Hendrix Experience took San Diego by storm, and were now, one of the most exciting bands in the world. Ironically, in June 1969, The Jimi Hendrix Experience were no more. After just three studio albums, The Jimi Hendrix Experience called time on their career. However, they continued to work together on various projects. Despite that, the music industry was stunned. One of the most successful bands had called time on their career after just three albums. Two months later, Jimi Hendrix was back in the studio. At the height of the summer of 1969, Jimi Hendrix returned to the studio. This time, it was the Hit Factory, New York where Izabella was recorded on August 29th 1969. Less than three months later. It would never find its way onto an album during Jimi Hendrix’s lifetime. That was the case with with Message To Love and Earth Blues. Both were recorded at the Record Plant, New York, on 19th December 1969. Recording broke up for the holiday season. Jimi Hendrix reconvened after the Christmas holidays. On 21st January 1970, he and his band recorded Astro Man at the Record Plant. Country Blues was recorded on the 23rd January 1970. A week or two later, Jimi Hendrix sprung a surprise. The Jimi Hendrix Experience it seemed were reforming. Jimi Hendrix even was interviewed by Rolling Stone magazine, for their March 19th issue. However, in reality even the other band members didn’t know what was going on. There was a change to The Jimi Hendrix Experience’s lineup. Billy Cox was to replace bassist Noel Redding. As usual, Mitch Mitchell’s drums would provide the heartbeat. Jimi Hendrix would play the starring role. While the details of what was being called the Star Of Love tour were ironed out, Jimi Hendrix returned to the studio. At the Record Plant, on February 16, 1970, Jimi Hendrix and his band laid down a version of Freedom. Everything seemed to be going so well. Not only were the recording sessions going well, but Jimi Hendrix had a packed touring schedule. May 30th 1970 found Jimi Hendrix playing at Berkeley Community Theater, Berkeley. That night, they covered Johnny B. Goode and Blue Suede Shoes. Jimi Hendrix wasn’t averse to playing some old favourites. It didn’t matter if it was blues or rock ’n’ roll, they could play either. Whether with The Jimi Hendrix Experience, Band Of Gypsys or a pickup band for company, he was versatile, talented and a musical phenomenon. That’s apparent on the version of Cherokee Mist recorded on June 14th 1970 at Electric Lady Studios, New York. Then on 15th July, Jimi laid down Come Down Hard On Me. The following day, 16th July, Jimi Hendrix recorded Night Bird Flying. There was even a live version of Lover Man recorded at Electric Lady Studios on 20th July. This was good practice for when Jimi Hendrix played live. Over the next month, Jimi Hendrix’s hectic touring schedule continued. He played in Maui, Hawaii, on July 30th 1970, and unleashed a medley of Hey Baby/In From The Storm. Three weeks later, Jimi Hendrix returned to Electric Lady Studios, New York. At Electric Lady Studios, Jimi Hendrix recorded a version of Slow Blues. It finds Jimi Hendrix returning to his blues roots. Then ten days later, Jimi Hendrix played a starring role at what was one of Britain’s biggest festivals. Jimi Hendrix took to the stage at the Isle Of Wight Festival, in England, on 30th July 1970. He stole the show, with blistering, mind-blowing set. It was Jimi Hendrix at his best. Again, his set included In From The Storm. Little did anyone realise that this was one of Jimi Hendrix final performances in Britain. Less than two months later, at around 11a.m. on the 18th September 1970, Jimi Hendrix was found unresponsive at an apartment in the Samarkand Hotel, in Notting Hill, London. He was rushed to the St. Mary’s Abbot’s Hospital, but pronounced dead at 12.45p.m. Jimi Hendrix was just twenty-seven. That day, music had lost one of the most influential and innovative guitarists of his generation. Just over forty-five years after the death of Jimi Hendrix, his music is even more popular than ever. Several generations of music lovers have been introduced to Jimi Hendrix’s music since his untimely death in 1970. By the time of his death, Jimi Hendrix had only released a trio of studio album and one live album. Since then, numerous posthumous albums have been released. This includes The Jimi Hendrix Experience box set. It was recently reissued by Sony Music, and is a welcome reminder of a musical legend at the peak of his powers. Between 1966 and the 18th September 1970, Jimi Hendrix’s star was in the ascendancy. It was as if he’d descended down from another world, and was determined to reinvent how to play the guitar. For the next few years, the world was awestruck as this musical maverick and visionary. Wherever he played, audiences were spellbound by his otherworldly music. However, he wasn’t a one man band. Credit must be given bassist Noel Redding and drummer Mitch Mitchell. They were happy to stay in the shadows, while Jimi Hendrix prowled across the stage reinventing the guitar. One minute he was playing it behind his back, the next he was on his knees playing it with his teeth. Jimi Hendrix was a musical showman, who would try anything once. Seamlessly, Jimi Hendrix combined blues, rock, funk and jazz. Jimi Hendrix was versatile, hugely talented, innovative and influential. He was a musical trailblazer, who was unlike anything that had gone before. Jimi Hendrix was the polar opposite of tired, staid musicians like B.B. King. He built a career on the same sound. Right up until earlier in 2015, B.B. Kingwas phoning in performances of the same tired and predictable songs. Jimi Hendrix would never have done that. Instead, Jimi Hendrix was an innovator who if he’d lived, would’ve been at the forefront of music, constantly moving his sound forward. Sadly, Jimi Hendrix’s career was cut tragically short, and music was robbed of his genius when he was just twenty-seven. At least Jimi Hendrix never grew old, bloated and predictable. Unlike some of his contemporaries. They’re a shadow of their former selves. Jimi Hendrix however, will forever be twenty-seven, and the a flamboyant, maverick musician whose genius had audiences spellbound when he was with The Jimi Hendrix Experience.